Improving healthcare outcomes and wellness in children is contingent on expanding high quality clinical research to include more diverse populations. Pediatricians at the University of Louisville (UofL) with our Healthcare Partners serve a highly diverse patient population that includes the rural and urban poor, a unique Appalachian community, and numerous ethnic minorities. In order to better serve this population, we propose to build upon our current programs, collaborate with other institutions on pediatric clinical trials through the IDeA Pediatric Trials Network, and collaborate with ECHO and CHEAR sites to advance healthcare for children. Our goal is to expand clinical trial research infrastructure, provide opportunities for rural and urban underserved populations to participate in research that impacts their health outcomes, and establish a formal and interactive professional junior faculty development program in pediatric clinical trials that contributes to a sustainable workforce locally and nationally. Understanding the effects of environmental exposures on child health and development is a priority for the National Institutes of Health (NIH). To advance knowledge in this area, NIH has launched a new seven-year initiative called the Environmental influences on Child Health Outcomes (ECHO) program. ECHO is designed to capitalize on existing participant populations, and support approaches that can evolve with the science and take advantage of the growing number of clinical research networks and technological advances. To learn more about the ECHO program, please visit the ECHO Children web page. 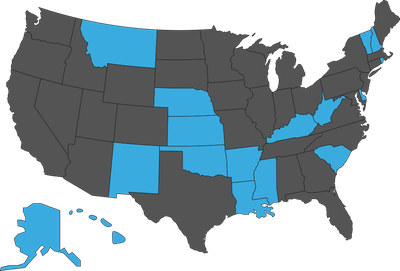 The IDeA States Pediatric Clinical Trials Network consists of 17 sites in 17 states ideally situated to improve access for medically underserved rural and urban children to participate in state-of-the-art clinical trials. The network will work with the ECHO cohorts to apply findings in clinical trials to allow a pipeline for new findings to quickly reach the children who will benefit.